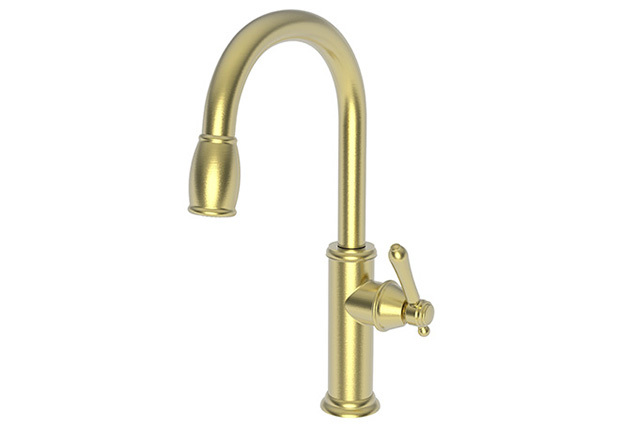 Brasstech® is the parent company of brands Newport Brass® and GINGER®. 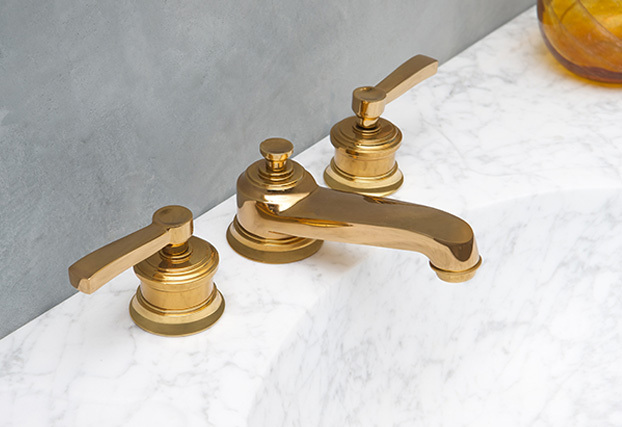 Made in California, Newport Brass® is a premium brand of solid brass faucets and fixtures known for its expertise in plumbing fixtures and decorative trim created with thoughtful design and exemplary craftsmanship. 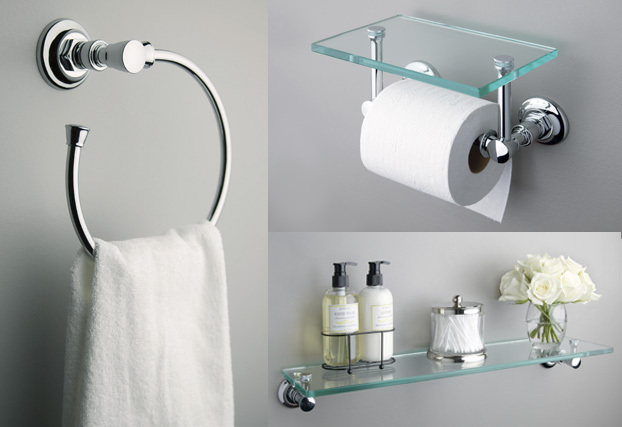 GINGER® is a leading bathroom accessory, lighting and mirror brand that brings together luxury and functionality to enhance the bath environment. 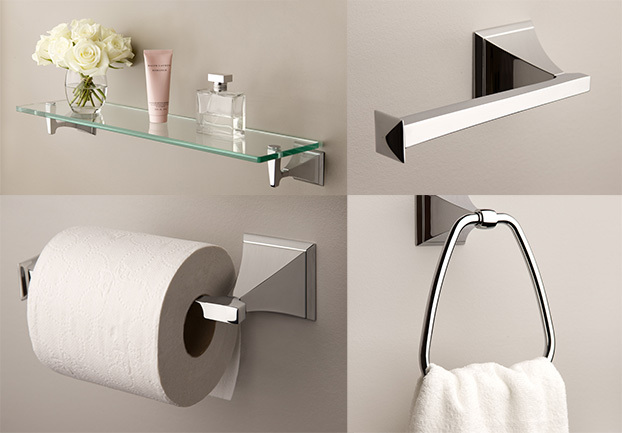 Dorrance reinterprets the fundamentals of modern design with made-in-California craftsmanship. 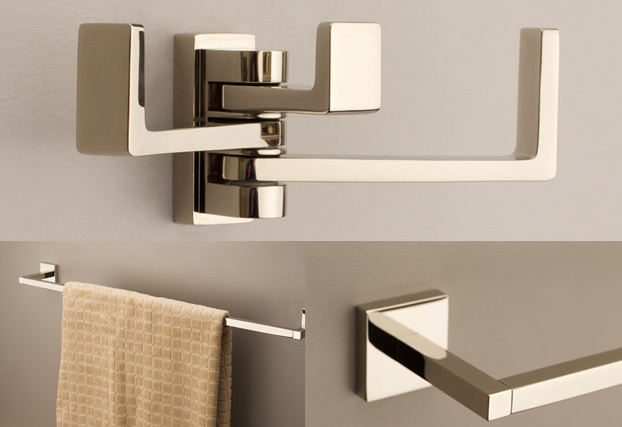 Malvina’s precision engineering unites geometric lines and planes in an expression of contemporary design. 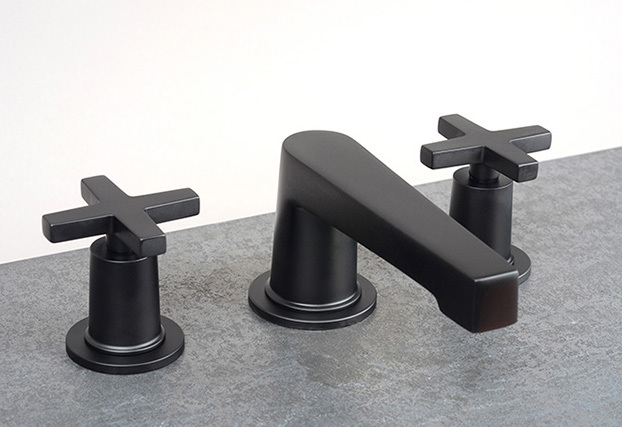 Slater’s handles are inspired by garden gate valves and complemented by its arched spout. 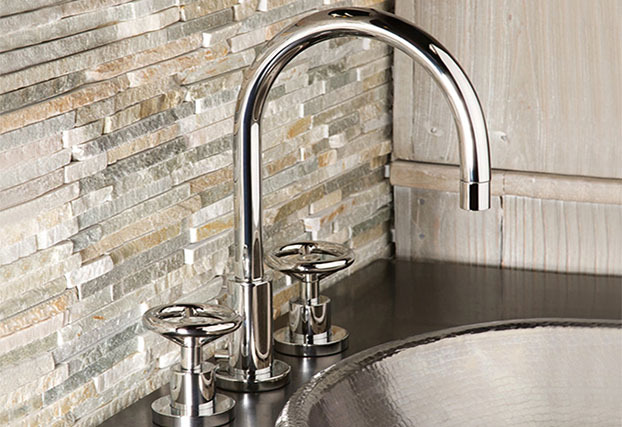 With handles reminiscent of wheel spokes, Tyler is balanced by its geometrically shaped spout. 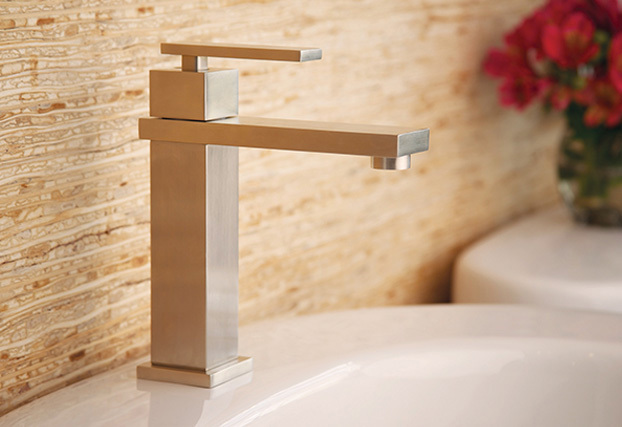 Taft boasts features like knurled detailing, a curved spout and an integrated pull-out spray. Chesterfield gracefully executes a traditional and refined aesthetic. 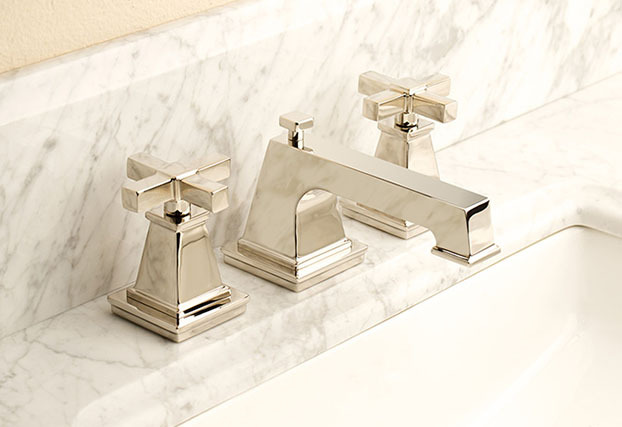 Roosevelt draws from neoclassical elements, combining vintage flair with modern elegance. 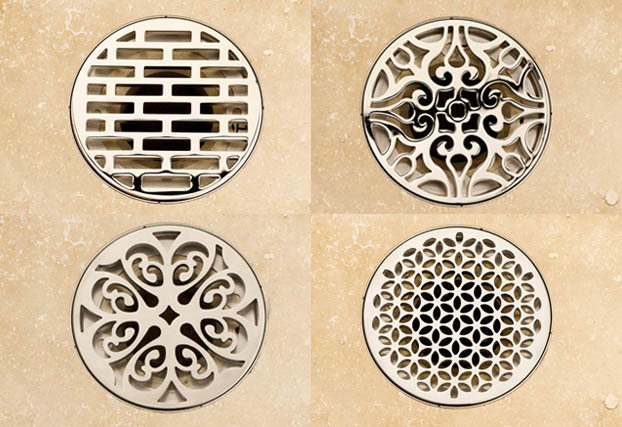 New Decorative Drains, Each drain is constructed from solid brass and available in five patterns. Skylar Single Hole, Skylar’s square column merges with a rectangular spout, offering endless design possibilities. Lineal features strong lines blending perfectly into the space, enhancing without overpowering. 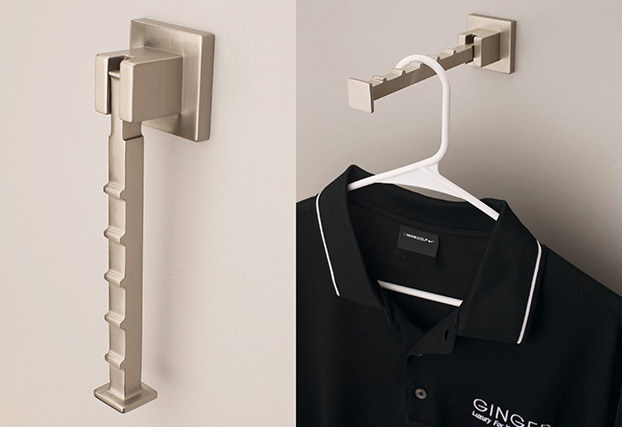 Lineal Valet Hook, Award-winning valet hook with concealed screws folds discreetly when not in use. 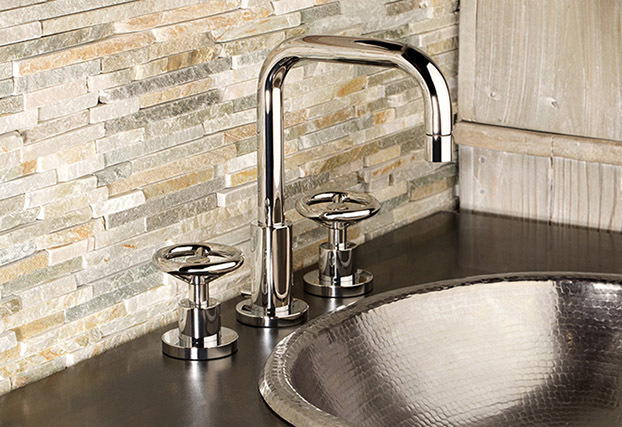 Eavon’s circular, hexagonal base supports a rounded post accented by subtle details. Cayden uses concave pyramid posts as the foundation with arched horizontal bars. 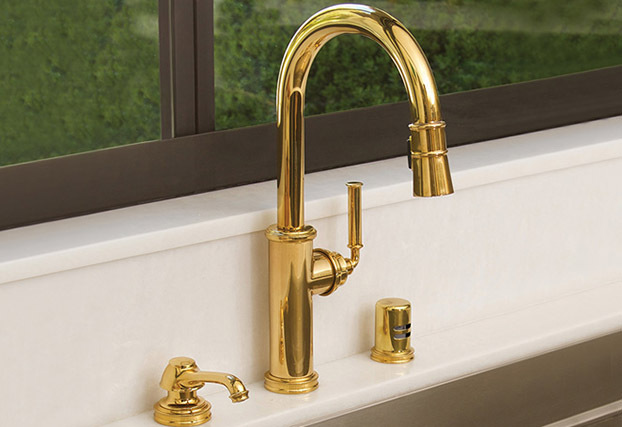 Both Newport Brass and GINGER are WaterSense labeled, IAMPO, AB1953 compliant.